This section covers what to do if you have debts with your Electricity, Gas or Water company. It covers the action they can take against you. What to do if they threaten to cut you off or fit prepayment meters. Utility bills are the regular household bills you get for gas, electric, water and essential services. As these are paid in arrears it is easy for large and unexpected bill to build up. This guide explains what the utitlity companies can do and how we can help you avoid debt recovery and collection action. Need help with gas, electricity or water bills? 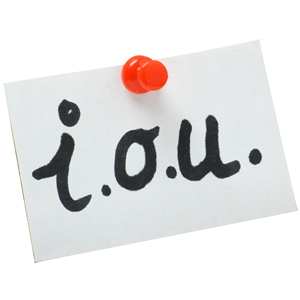 Our specialists can quickly advise you on what to do if you've got utility company debts. Utility bills are priority debts. This is because if you fall into arrears, gas, electric or phone suppliers can disconnect your service. This means that utility bills should be paid in full before you consider making payments to ‘non-priority’ debts such as credit or store cards, payday loans, catalogues, bank loans or overdrafts. If you don’t pay your gas or electric bills, your supplier can apply to Court to get a warrant to enter your home to fit a pre-payment meter. This means you must pay the arrears at a set weekly amount or lose the supply. They can also remove the meter and cut off your supply. Your supplier will then try to collect the debt you owe using a debt collection agency. If you fall behind with your water payments, your water supplier can’t disconnect you. However they can start court action to get you to pay the arrears back, and in some cases apply to deduct money straight from your benefits.